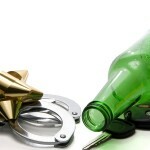 If you are arrested for DUI in southern California, it’s imperative. Exercise your right to remain silent. 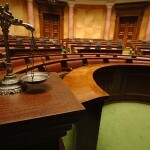 Do it politely, but do it, and then contact an experienced Orange County DUI lawyer immediately. If you answer any questions, whatever you say can be used against you in court. Don’t make the prosecutor’s job easier by simply handing over incriminating evidence and in effect convicting yourself. That’s not precisely what happened to a Miami woman named Mila Dago, but what did happen is a lesson for everyone. Ms. Dago did not die that night, but her life changed forever. Three minutes after sending that last text, according to Miami-Dade prosecutors, she ran a red light in downtown Miami, plowing her tiny car into a truck and killing her own passenger and friend, 22-year-old Irina Reinoso. Ms. Dago’s speeding car plowed into Benjamin Byrum’s Chevy pickup truck. Byrum suffered nothing more than bumps and bruises, but paramedics pronounced Ms. Reinoso dead at the scene. In April, a Miami judge ruled that the text messages can be introduced as evidence in Ms. Dago’s DUI manslaughter trial. Ms. Dago, now 24, has pleaded not guilty to DUI manslaughter, vehicular homicide, and two counts of DUI with damage to a person. No date has been set for a trial. The deceased woman’s family is also suing Ms. Dago in civil court for wrongful death. No matter what kind of situation you face – a divorce or a romantic breakup, unemployment, or the death of a loved one – you cannot mix those kinds of emotions with alcohol and driving. If you must “get drunk” for an emotional reason, please, please do it at home. If – despite your best precautions – you are arrested for DUI in southern California, get legal representation at once and contact an experienced Orange County DUI lawyer as quickly as you can.